OnePlus’s strategy appears to be paying off. Don’t worry about being the first with a technology — that’s a fool’s errand when you’re competing against deep pockets like Apple and Samsung. Instead, the company bides its time, unconcerned if it takes an extra six months or a year to get there. 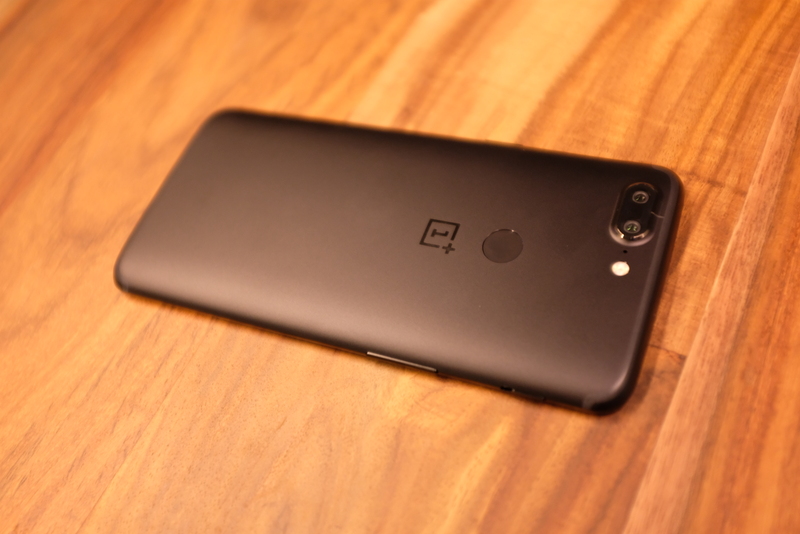 The company has delivered on those things at its own pace, but more importantly, it’s kept the promise of producing some really top quality handsets at a fraction of the cost of other flagships — case in point, the OnePlus 5T. With a $499 starting price, it’s $20 more than the OnePlus 5, but it’s still around half the price of many of the latest flagship devices. It’s a relatively incremental update for the company, but that’s probably to be expected six or so months after releasing the 5. The 5T is another really nice mid-tier hardware, something the company has done well since the beginning. There’s nothing in the aluminum unibody that screams “budget” or even “last year’s model.” In fact, from a pure design language perspective, the 5T looks nicer than some of the flagships that are twice the price. In keeping with trends set by the likes of Samsung and Apple, the company has ditched the front facing fingerprinted sensor to make room for a lot more screen. This time out, OnePlus has jumped from 5.5- to six-inches, at the 18:9 aspect ration that’s all the rage with phone makers these days. The bezel’s still present, but it’s been shrunk down considerably around a bright AMOLED that doesn’t suffer from any of the strange muddied colors you’ll find on the Pixel 2. The dual-cameras are still in place from the OnePlus 5. The company didn’t touch the main lens, but the older model’s telephoto has been swapped out for one with a bigger aperture. Rather than zooming, the camera system is built to improve lowlight photos, allowing more light into the shot to reduce noise. It’s a trade off for sure, but I suspect most users will find more practical every day uses for low light photography than telephoto. Either way, at this rate we’ll have three, four or five rear-facing camera soon enough, so no one will have to settle. The other big addition is Portrait Mode — again, one of those deals where OnePlus is kind of late the the party. In fact, we’ve already seen the tech on some mid-range handsets. Like the competition, the system creates a bokeh-style effect to simulate the shallow depth-of-field you get on high end cameras, to help the subject pop. OnePlus’s implementation isn’t the best I’ve seen, but it does the trick. And yes, the headphone jack is back in all of its glory. 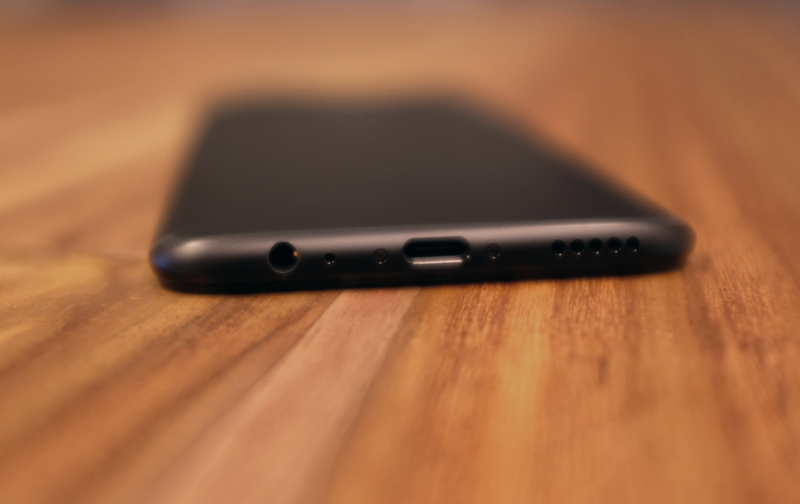 Co-founder Carl Pei made a point of polling OnePlus users about the port, so it’s likely going to stick to its guns there for a while. Though if the Pixel 2 taught us anything on that front, it’s that a year can make a lot of difference. As long as OnePlus continues to be focused on keeping the cost down, giving users the option of wired headphones out to be part of the package. The phone hits retail November 21. We should be back with a more in-depth review by then, as well.